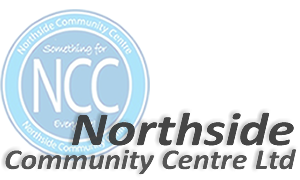 Northside Community Centre offers modern purpose built facilities available for private hire. In addition to Internet Access we also offer a range of ICT & Classroom equipment, from flip charts to laptop & Desktop Computers. Many of our rooms include kitchen facilities to prepare your own refreshments or available to purchase from our onsite shop, alternatively a catering service is available on request. Whatever your requirements we can deliver a custom package to suit your needs! We are open Monday-Thursday 9am-4pm, Friday 9am-3.30pm. Out of hours & weekends bookings are available, please contact our Centre Manager for further details.